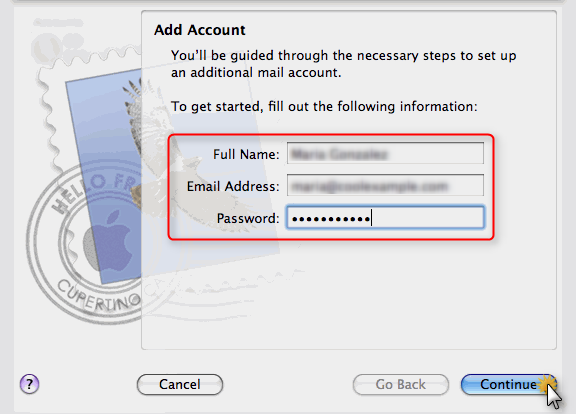 This tutorial shows you how to set up Apple Mail to work with your email account. Account window, enter your full name, email address and email password. 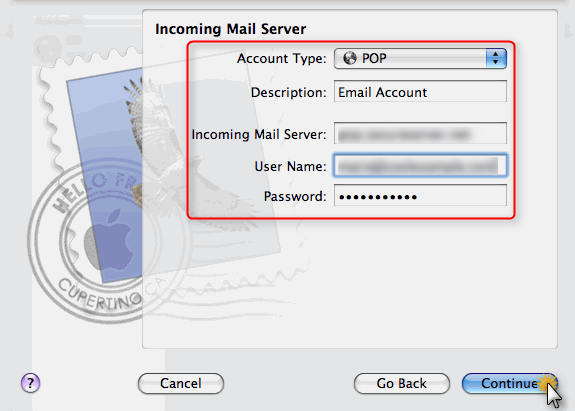 Description: The name for this mail server (e.g. secureserver.net). When the setup process is done, you will see an Account Summary window that summarizes your connections. 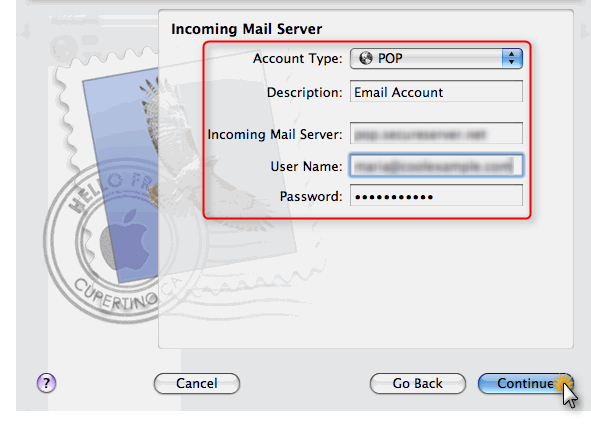 By default, when you download new messages using Mac Mail, your messages will remain on the hosted server for one week. After one week, they will be deleted from the server. This helps you to avoid exceeding your account’s storage limits. Follow the directions below to make changes to the default settings. Select Mail / Preferences and click once on your account, as it appears in the Accounts list. Click the Advanced tab and select the Remove copy from the server after retrieving a message check box, if desired. 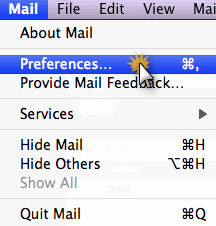 If you selected the check box, click the drop-down menu to indicate when Mac Mail should remove your mail from the server. Or you can indicate that Mac Mail should remove your mail from the server when you move it from the Inbox into another folder. Close the Accounts window and click the Save button.